Have you ever wanted to know how to turn mason jars into working speakers, modify a chopstick to be used as a tablet stylus or just simply focus better? Well, even if you haven’t ever felt the compulsion to learn such things, prepare to have your inner calling awakened by the amazing website that is Lifehacker. 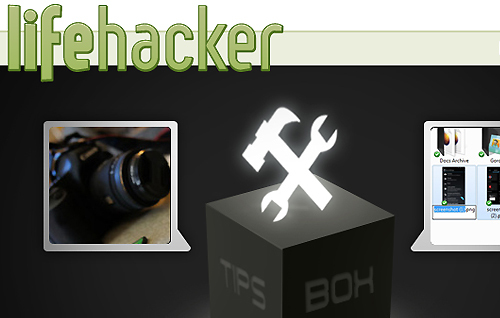 “Tips and downloads for getting things done” -- this is the motto that Lifehacker abides by. Then again, if you’re a Lifehacker newbie, it’s difficult to fully grasp the all-encompassing nature of this statement. Lifehacker literally has a solution to all of your life’s problems -- some of them you didn’t even know you had! While the site has a large section devoted to technology know-how, there’s a good mix of everything on the site. There’s tips for cleaning, cooking, increasing productivity, and even people skills. 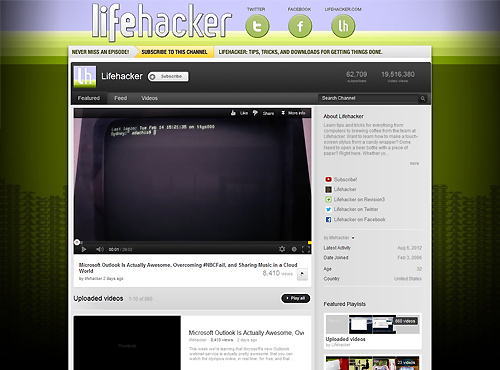 Of course, Lifehacker doesn’t just have a website -- their YouTube page hosts tons of helpful videos, with topics ranging from simple fixes for annoying bugs/settings on phones or social media sites to jailbreaking and coding. The videos also touch on clothing “hacks” and other basic tricks for life (see: How to Get Out of an Awkward Situation!). The site is still one of the best places to start if you’re searching for a solution to a problem, simply because there’s a little bit of everything! No matter what you’re looking to “hack,” Lifehacker will likely have you covered. Don’t like talking to people when you’re on the bus? Take a dive into the “Communication” section to find a little something to aid you in your peril. Intimidated by the idea of a follow-up interview? In “Jobs” you can learn all the tips and tricks from a seasoned bunch. 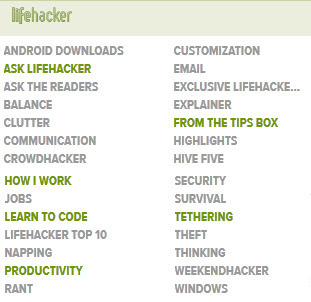 Just think of Lifehacker as your personal handbook for life. (If you’re looking for a literal handbook, there’s one available for purchase here on Amazon.) Whatever area you need help in, just flip to that chapter. In this case, you’ll be clicking on different sections within the site, but you get the picture. There’s tons of content on Lifehacker, and, quite honestly, it can be rather daunting at times. Luckily, there is a search feature available on the site that allows for easier shifting and exploring. Are you still not sure where to begin with so many things to look at on the site? 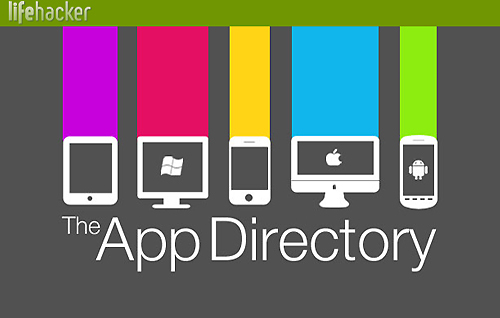 Well, taking a look at the App Directory is surely something simple enough to ward off the anxiety associated with the plea “so much content, so little time.” With apps for all of the most popular operating systems and smartphone platforms, there’s bound to be something in the directory that will tickle your fancy. After all, one can truly never have “too many” apps. Well, Lifehacker’s other many inspirational tips await -- so what are you waiting for? With so much motivation and creativity lurking in every corner of the site, there’s bound to be a project you’re itching to try your hand at. Even if it’s something as simple as organizing your desk, a small adjustment can make a big difference in the scheme of things. Don’t be afraid to try new things out, “hacking” areas of your life one piece at a time!